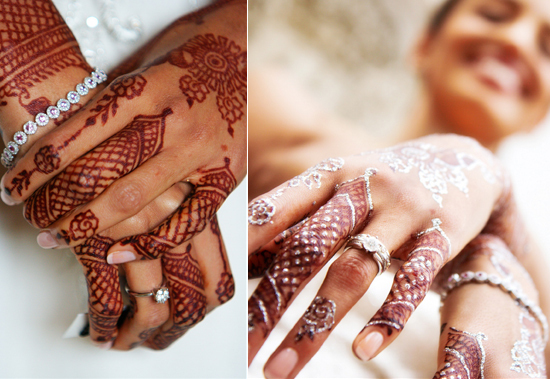 Zuri brings to you a mini guide on how to choose mehendi design for your wedding! Are you ready for some inspiration? It is believed that the Indian wedding season sees a sudden demand in gold. Indeed! After all, the bride has to look pretty in those gorgeous golden bangles and all the other jewellery pieces that adorn her neck, forehead, ears and even waistline. As for her hands and feet, there is something even more graceful. Yes! You heard us right. 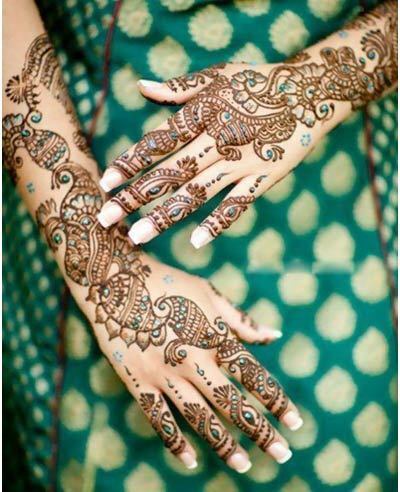 We are talking about aromatic henna paste that is applied a day to two days prior to the wedding. 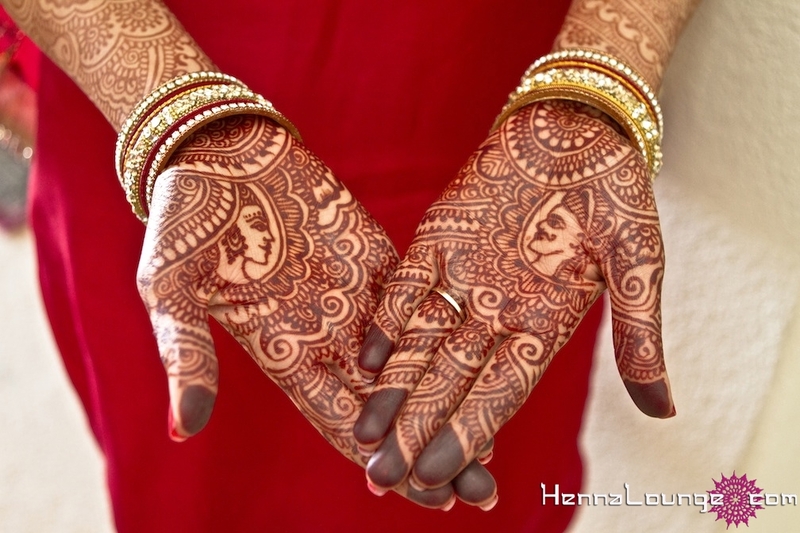 Mehendi ceremony is an important ritual in Indian, and Pakistani weddings. 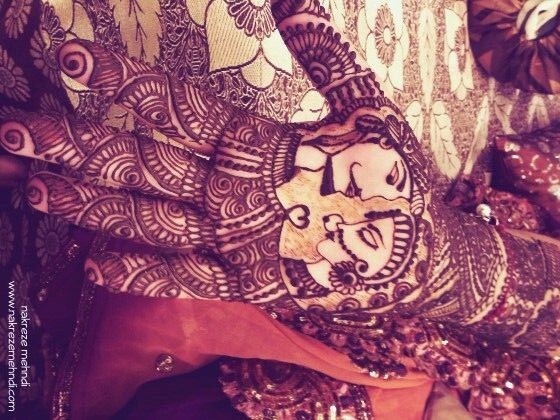 So, let’s take a look at a comprehensive guide on how to choose the perfect mehendi design for your wedding. 1. Indian Dulha (groom) Dulhan (bride) Mehendi Design: Beautiful Indian mehendi design is extremely popular not just in India but even abroad. 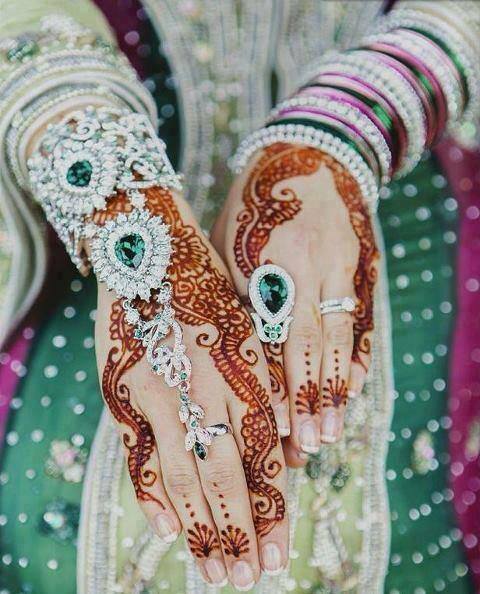 Most brides prefer to sport figurines of groom-bride on their hands. This style is in much demand also because it’s more traditional and auspicious. The other Indian motifs that can accompany Dulha-Dulhan figurines are: trumpet (shehnai), drum (dholak), urn (kalash), mandala (a religious circular symbol), peacock, paisley, and flowers. 2. 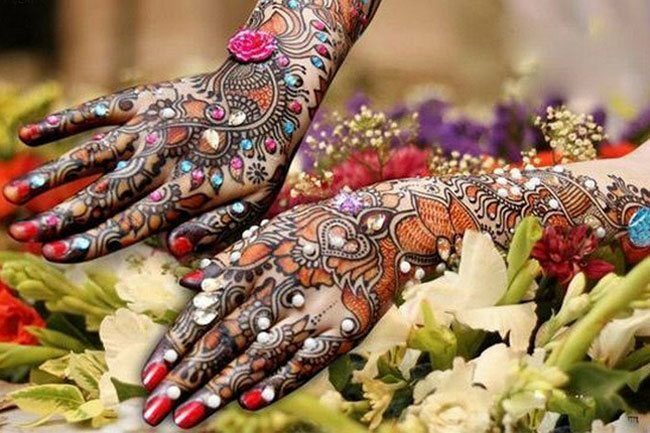 Arabic Mehendi Design: Known for it’s neat and clean look, a lot many brides are going for stylish Arabian mehendi designs. 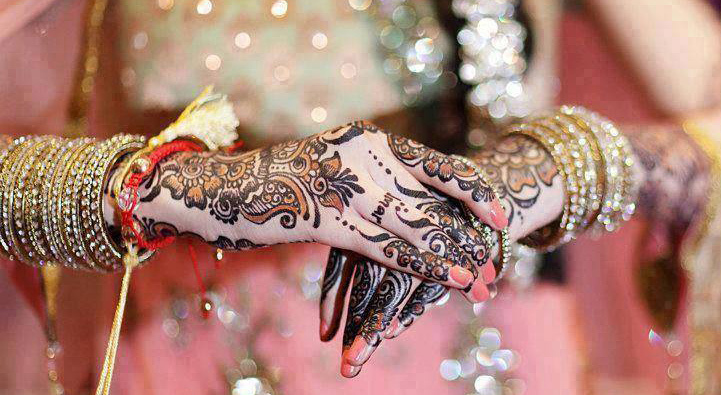 The trend these days is to fuse the traditional and Arabic mehendi style. And the outcome is – the hybrid! This style is for those who aren’t too open to sitting for hours and hours for the application. Besides, girls who like simple yet ethnic designs should definitely try this style. Modern and interesting at the same time, Arabic mehendi looks the best with shararas, ghararas, Pakistani salwaar kameez and even lehengas. 3. 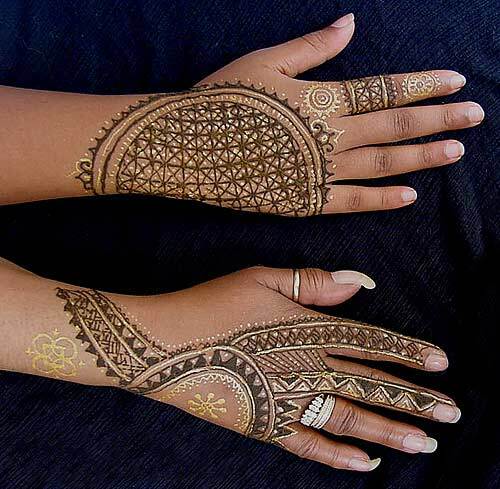 African Mehendi Design: If you want to try a new mehendi style, and like symmetry, then African mehendi design is for you. Eye catching, unique and quirky in a way, African mehendi designs and patterns are all about geometrical shapes. Triangles, lines, circles, squares, all teamed up together to form an abstract painting! Besides, such designs are way too spontaneous and inspiring. 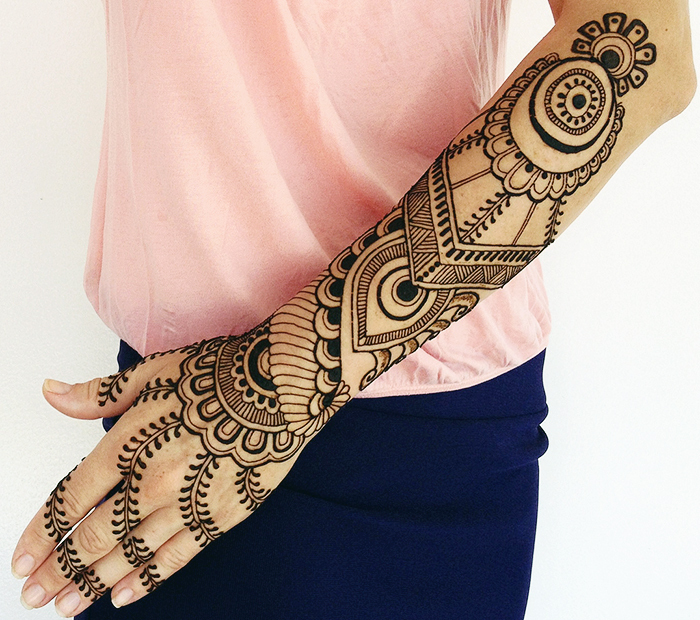 And the best part is that African mehendi can go well with all sorts of outfit ideas. 4. Embellished Mehendi Design: If you are into gold, silver and shimmer, then go for glittery dust, Swarovski crystals or rhinestones for an embellished look. This style would ideally go well with a simple bridal outfit. Shimmer on hands and feet is bound to enhance the overall beauty. Besides, it can give all your gold jewels a run for their money. Embellished look can be worn on a simple Indian, Arabic or African mehendi design. The only issue is that you will have to give enough time for it to dry-off. Besides, last minute touche-ups are also quite important. 5. 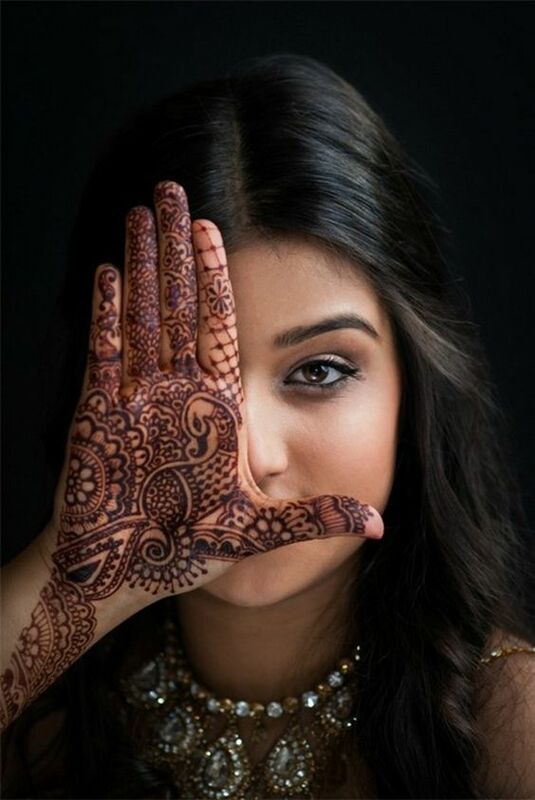 Quirky Mehendi Design: If you are not a typical bride, looking for some quirk..planning to wear an unconventional bridal outfit and the entire theme of the wedding is bohemian, then sport a quirky mehendi design. Stars, moon, sun, alphabets in Hindi, English or Urdu script on the entire hand or a couple of fingers, maybe. The idea is to paint the canvas with your imagination. But, we recommend you choose your mehendi artist carefully. If he/she is unable to understand your thought process, then the result can be disappointing and no bride wants to take such last-minute risks!